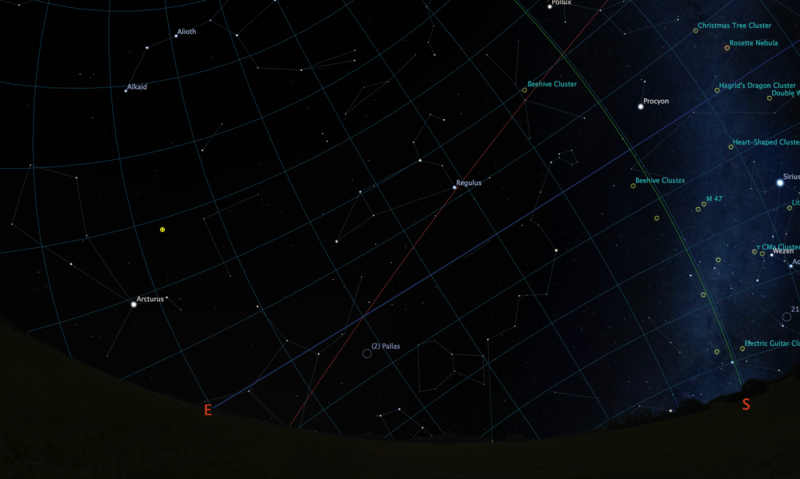 Looking southeast on the morning of November 17th: The Leonids will seem to originate from Leo’s head. This entry was posted in Astronomy, News and tagged leonids, meteors by John A. Blackwell. Bookmark the permalink.